What Does an Oracle Analyst Do? An Oracle Analyst inputs, reads and interprets database information to determine its usefulness and for reporting trends and statistics relevant in business management. Oracle is the premier creator of database software worldwide, under its own brand. Oracle is also the second largest software developer in the United States. 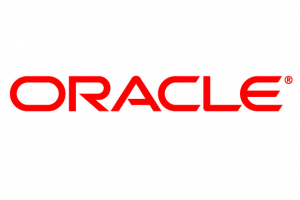 Oracle started its multinational business in 1977, founded and headquartered in California, USA. Oracle information databases are separated into three information gathering and management categories with reference to customer relationships, enterprise resources and supply chains. There are nearly two hundred different certifications available to those who wish to qualify as an Oracle Analyst. These certifications fall under eight areas of expertise, including: applications, database, industries, java and middleware, operating systems, systems, virtualization, and foundation. These databases are used for a variety of purposes including: tracking productivity, managing cloud services, global trade management, retail merchandise tracking, insurance applications, health science applications, taxation management, utilities management, web interfacing, security programming, identity programming, server management, storage management, virtual infrastructure, and IT architecture. Oracle Analysts have varying backgrounds, education qualifications and experiences. There are classes hosted by Oracle to train any professional who is either required or who desires to gain certification to serve as an analyst. The testing includes a fee which may be paid by the individual or their employer based on job specifications. The fees for the exams may be found on the oracle website at certification.oracle.com. The fee for each exam may vary and is listed on the exam pages. An Oracle Analyst managing customer relationships is sure to keep track of a company’s interactions with customers by reporting on the past, recording the present and projecting the future trends and statistics of that relationship. This may involve organizing, automating, synchronizing technical support, marketing, sales and customer service. Analysts are able to collaborate with other users to better understand and share ideas about working globally while finding and implementing solutions to gaps in information. An Oracle Lead Analyst would also support system testing, repairs and updates for functionality while managing orders, installations, configurations, contracts and teleservice. At the highest levels many key functions of Oracle Analysts include, but are not limited to: leading and participating in enhancement projects related to improving IT standards, target application of business process knowledge, process compliance, managing gap analysis, user acceptance methodology, integration testing, team leadership and training, project lifecycle awareness and systems changes verifications, coordinate technical implementations, partner with business users to provide knowledge in support of business system implications and process changes. Many financial institutions have assigned credit analysts with the responsibility of reporting statistics and making projections using Oracle’s database management software. Database transfer has also made for a simpler transition when moving customer files from one analyst to the next for future credit reviews. This saves companies and their employee’s time and frustration when it comes to reorganizing and reassigning information reporting responsibilities. Oracle Certification allows an Analyst to excel in their career as well as take advantage of ample opportunities to gain new competencies while enhancing their professional skills. The central goal of Oracle’s database software is to encourage and support a business working more efficiently and effectively as they gather, organization and report relevant information.